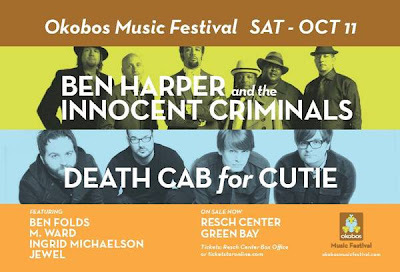 We have a pair of tickets to give away for the OKOBOS Music Festival on October 11th at the Resch Center in Green Bay, Wisconsin. It is a charity event to benefit Okobos, a footwear company dedicated to supporting children and families around the world. First person to email (mikerog10 AT gmail) us gets the tix!